Always, Always do the right thing for your customers! I love this piece of inspiration. I used to have it on my wall when I ran a fast growing IT Support Company. It reminded me that our company should continue to deliver outstanding and friendly service to our customers in the face of constant ‘improvement’ from our own internal finance department. Our internal finance department no doubt wanted us to deliver highly efficient IT Support. They wanted us to win on almost every transaction but I had a hunch this isn’t the way to build great customer relationships. Customers want a long term relationship with somebody who keeps their IT running, who is dependable, friendly, trustworthy and somebody who views a business relationship with a bit of give and take. A man and his wife had the good fortune to possess a goose which laid a golden egg every day. Lucky though they were, they soon began to think they were not getting rich fast enough, and, imagining the bird must be made of gold inside, they decided to kill it. Then, they thought, they could obtain the whole store of precious metal at once; however, upon cutting the goose open, they found its innards to be like that of any other goose. 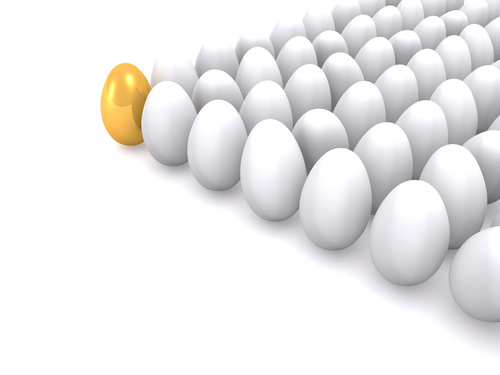 Your technical services are your golden eggs. Look after these. Your finance department might be the farmers – if they’re that way inclined – ignore them a bit. I had a way of ranking my staff which enshrined the above – but that’s another story. Chris has a first class Honours degree in Software Engineering and Masters in Computer Science. He has the dubious distinction of being one of the earliest Microsoft Certified Systems Engineers (MCSE) in the UK. Chris started his career in the early 90s in Enterprise IT at NCR/AT&T as a Software Engineer and morphed into Infrastructure looking after company Network & Servers. He then spent some years in small business, forming and running an IT Support Company. Chris lives in Fife, Scotland with his partner, kid and two dogs. He’s a keen sportsman, cycling, running, golfing and various other (sometimes risky) outdoor pursuits. He claims (and we believe him) that he really wants to be an Egyptologist or Economist. Excellent advice! Too many business owners try to micro-manage and end up driving away good employees and eventually burning out. A hands-off approach to some things isn’t a bad thing! Customer satisfaction is, without a doubt, something that should already be obvious to a lot of managers and business owners. Gathering feedback is essential; and crafting your company to be able to work and improve because of them even more so. I completely agree that credit should be given to the support staff that have to deal with customers, assure them and aid them when they have questions, concerns (and god forbid) problems. However, it’s still something that’s overlooked in the industry. I suggest you send this post straight to Microsoft, who (despite trying to make amends to their millions of customers by giving Windows 7 the love and support it deserves) still royally screwed the pooch with Windows Vista. I, for one, cannot begin to reiterate how their lack of initiative to listen to customer feedback in building Vista has cost my company time, money and more money. I read this article as a business owner, but I am reacting to it as a customer. A very inspiring quote indeed. It is easy for those who are removed from direct customer relations to forget how it is to exactly relate to a customer. Support departments are normally evaluated based on the speed of their support call turn-arounds, but I for one believe that people in a rush to take care of their customers end up forgetting how to take care of them in the first place. Our support staff has been receiving a lot of love from middle and upper management lately. In an effort to increase customer satisfaction, our managers realized that a lot of responsibility fall on the support staff who interact with them on a daily basis. It came to no one’s surprise when management began to roll out different initiatives and incentives to increase support staff moral and productivity. Having worked in customer relations for more than ten years, I do agree that the front liners are sometimes the least appreciated when it comes to the command structure of most companies. But I think a lot of that has been changing over the past few years or so. Companies are recognizing that the real troops are those in the trenches with their customers, and keeping the support staff well trained and well rewarded means keeping the customers on their side as well.